Velcro© wall is an inflatable game structure that allows players to be stuck on the wall. 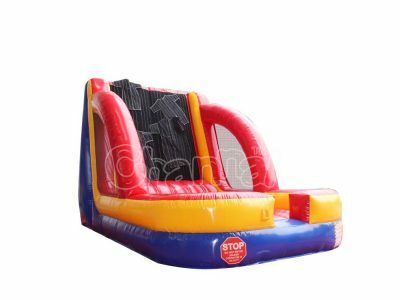 Inflatable velcro wall is consist of a bounce house runway and sticky wall that has velcro on the surface. Players also need to wear velcro suits in order to cling to those walls. Velcro jumping walls are fun equipment for both adults and kids for any party and event. It’s easy to set up, easy to play at outdoors and indoors. Just remember to keep your hair from being adhered to the velcro material, you can wear a baseball hat to avoid that. Use your speed and jump high to the wall with any position and posture you want. 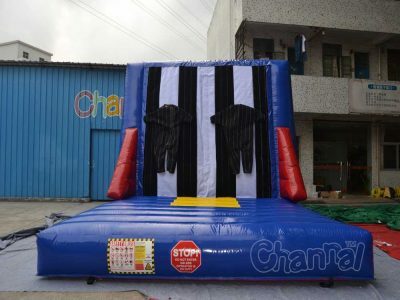 Channal Inflatables is a professional inflatable velcro wall manufacturer in China. We have premium quality velcro wall for sale at a cheap price, we also produce velcro suits for adults and kids. You may also be interested in our inflatable rock wall.